Is a Maryland Collaborative Divorce Right for Me? Those who promote collaborative divorce tend to argue that it’s more efficient, produces better results, and is more cost effective. But there are distinct reasons why a collaborative divorce may not be for everyone. Maybe. But collaboration has always existed. You, your spouse, and your attorneys can always sit down and discuss options. If you and your spouse get along well enough to reach a suitable agreement without a judge, you can always enter into an amicable agreement. This is typically the most cost-effective and efficient way to go, with or without the title “collaborative” being added. While a collaborative divorce might reduce court appearances, the fact remains that divorce requires a judge’s signature to be final. 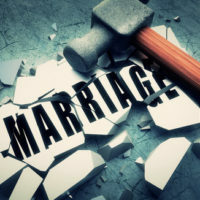 In Maryland, even the most agreeable divorce will still require one party to file a petition and get a judge to enter an order, thereby making the whole agreement a legally binding absolute divorce. Again, it depends. In a collaborative divorce, if things work out, it may be cheaper. But if things don’t work out, both lawyers will likely be disqualified from further representation if the case proceeds to court litigation. This means the parties may have to still hire new attorneys. This can end up costing more than if the parties just began with their own attorneys representing them in a traditional sense from the start. Not always. Attorneys who handle these cases may not be as tuned in to look for signs of abuse, domestic violence, or child endangerment. If two people are hostile toward each other and fight or have other latent problems, attorneys who are working toward an agreeable outcome may be blinded to these types of problems that clearly require court involvement. When it comes to protecting your rights in a divorce, nothing can replace time-tested experience. For over 20 years, Todd K. Mohink has been diligently and compassionately helping people work through their marital challenges. Whether it’s an uncontested and friendly breakup or a terribly painful and complex divorce, you can count on the Law Offices of Todd K. Mohink, P.A. to guide you step by step through the process. Contact us today to schedule a private consultation to discuss your case.